Check your tire pressure: Every 10-degree drop in air temperature can actually cause a vehicle's tires to lose up to 2 pounds per square inch (psi) in tire pressure. Improper tire pressure can result in increased tread wear and lowered performance, factors that are highly detrimental to one's safety in undesirable weather driving conditions. Einstein's will always check and fill your tires FREE of charge anytime! 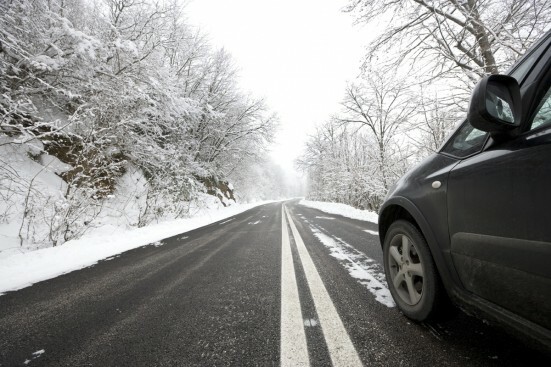 Check your tire tread to prepare for snow: Worn tread is the No. 1 cause of skidding during the winter season, so it is important to make sure your tires are up to the task before hitting the road. A quick way to do this is to check your tires' tread depth indicators. Tread depth indicators are small raised bars that run in-between a tire's tread grooves. When a tire's tread is worn down to these indicator bars, it's time to change to a new set of tires. If your winter driving plans include putting on a set of dedicated winter tires, be sure to put them on your vehicle one to two weeks before the next anticipated snow storm.